Massage therapy has many benefits beyond just relaxation. 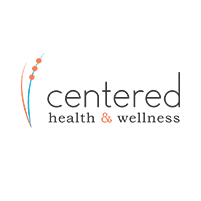 Dr. Corey Idrogo, a chiropractor at Centered Health & Wellness, serving patients in Chattanooga, TN, offers Massage and Chiropractic Care. Massage therapy has many benefits beyond its ability to relax and rejuvenate. Massage is often an important component of a chiropractic care regimen, as it helps the body beat pain in a natural way. Massage can eliminate built up scar tissue, improve circulation, alleviate inflammation, relieve pain, and help a person achieve an overall better sense of health and wellness. Massage therapy can help an injured person regain their full range of motion again. Perhaps its most significant benefit in relation to chiropractic care is pain relief. How do Massage Therapy and Chiropractic Combine? Chiropractic care and massage work together to speed healing and eliminate pain in a completely natural and entirely non-invasive way. While chiropractic adjustments can restore the spine to a place of proper balance, thus providing great relief, there is sometimes lingering muscle pain. This is especially true if the spinal misalignment was a long term one, as this can cause serious damage to the soft tissues like the muscles. The massage therapist can alleviate the residual muscle pain, which combines with the alignments for major pain relief. Typically, Dr. Idrogo will perform chiropractic adjustments and then the Centered Health & Wellness massage therapist, Michelle Wilson, will administer a healing massage. It depends on the situation. If the chiropractor recommends massage therapy as part of a healing regimen, the insurance company may cover at least part of the cost. Many people are able to get some or all of their massage therapy covered by their health insurance today. Massage therapy is increasingly being recognized by medical professionals as a highly effective way to help patients heal. This means that more and more insurance companies are starting to realize that the cost of massage therapy is well worth it in terms of overall patient health and wellness.